Click on a picture for full bio. 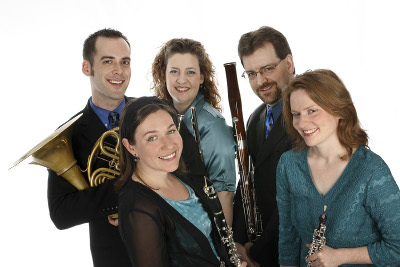 Founded in 1999, Quintet Attacca is one of Chicago's most dynamic chamber music ensembles. Grand Prize Winner and Wind Division Gold Medal Winner of the 2002 Fischoff National Chamber Music Competition, the quintet spent 2006-2009 as the Chicago Chamber Musicians' Professional Development Program Ensemble. Quintet Attacca is also proud to be in residence at the Music Institute of Chicago, offering performances, family programming, chamber music coaching and individual lessons. 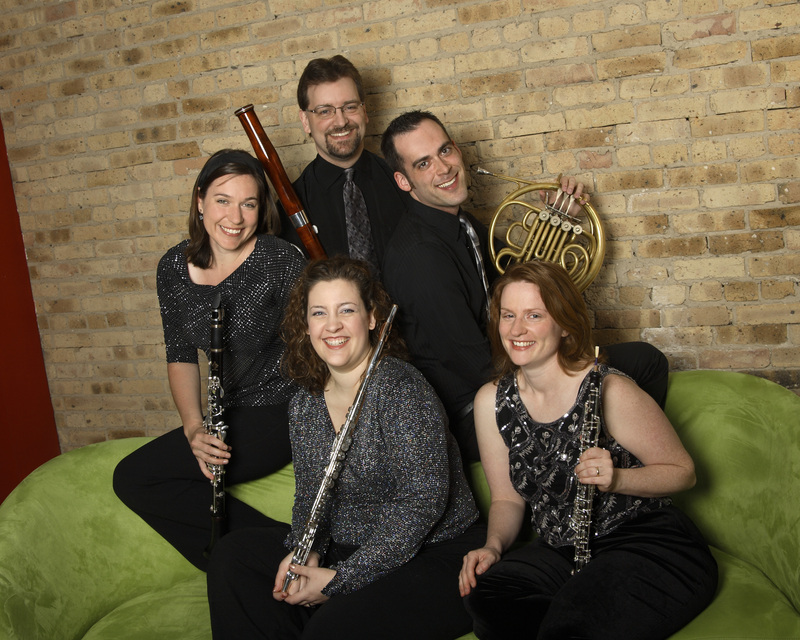 Quintet Attacca is an ensemble dedicated to bringing the unique sound of the wind quintet to all types of audiences: to this end, the quintet has played in venues across the Midwest, with extensive programming in Chicago. Quintet Attacca has reached audiences from Italy (at the 2003 Emilia Romagne Festival) to New York (at the Schneider Concerts Series at the New School) to concert halls all over Chicagoland as well as many live broadcasts on WFMT. Recent performances have included the First Monday Series at the Chicago Cultural Center and a residency with Chamber Music Society of Detroit. Priding itself on its innovative programming, Quintet Attacca enjoys presenting concerts that are both accessible and cutting-edge. Programs have included works that reflect the Classical and Romantic eras, as well as jazz and Latin influenced works and pieces by many of today’s leading composers. Additionally, five works have been written for the quintet: David Smooke's Trompe L'oeil, Collin Anderson's Tangram, Rami Levin’s Dancas Brasilieras and Portrait, and Dana McCormick's Two Episodes for Wind Quintet. To create balanced and entertaining programs, QA combines the challenges of today's most intriguing works with gems from the past. Quintet Attacca delights in bringing music education to all ages and abilities with its imaginative and engaging outreach programs. Through various organizations such as the International Music Foundation, Evanston-in-Schools, the Fischoff Competition, Chamber Music Society of Detroit, and the Chicago Chamber Musicians, Quintet Attacca has reached over one hundred schools and thousands of children! QA has also given master classes to young performers and composers at Northwestern University, Northeastern Illinois University, and the Merit School of Music. Quintet Attacca needs to finish the music for a movie and they simply can't decide what to do. That's where the students come in! With musical excerpts ranging from the dramatic (Harbison's Quintet for Winds) to the spooky (Carl Schimmel's Towns of Wind and Wood) to the downright ridiculous (Entry of the Gladiators), it's sure to be an exciting musical ride. Using elements of storytelling and colorful musical examples, Quintet Attacca shows students that they really have the power to "Set the Score!" Prep packet available here. Younger audiences will love our k-3 version of this show entitled The Story of Winds. 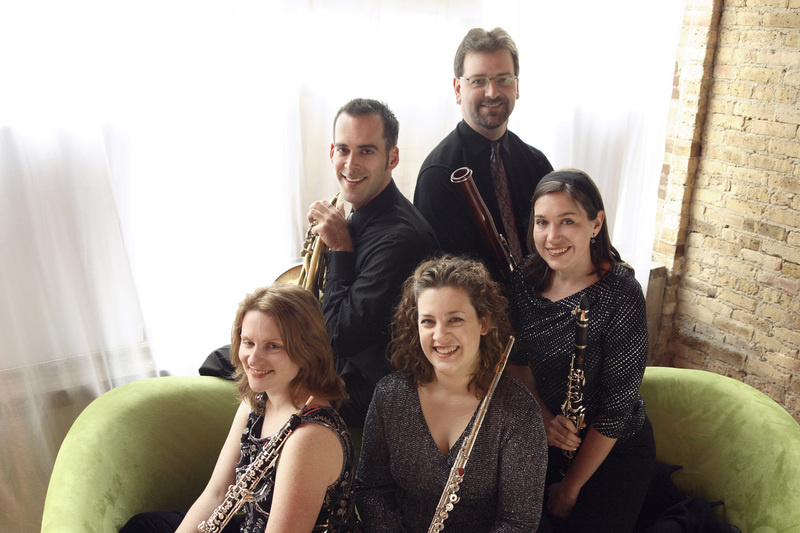 Quintet Attacca introduces the instruments with a fun musical piece entitled The Story of the Woodwind family, followed by a little game of "choose your score! ", and ending with their original musical montage, The Wind Says Goodnight, based on the delightful Children's book of the same name. Where in the World is Quintet Attacca? Where will Quintet Attacca go on their upcoming world tour? They don’t know - but their creative manager has given them some surprise pieces to play to help them and the students expand their musical horizons. Students will hear music from all over the world, learn about its different characteristics and a little about the countries, too! Quintet Attacca will provide clues and even some costumes to help the audience figure out "Where in the World is Quintet Attacca?" Join QA for their Surprise World Tour! Click here for prep packet. 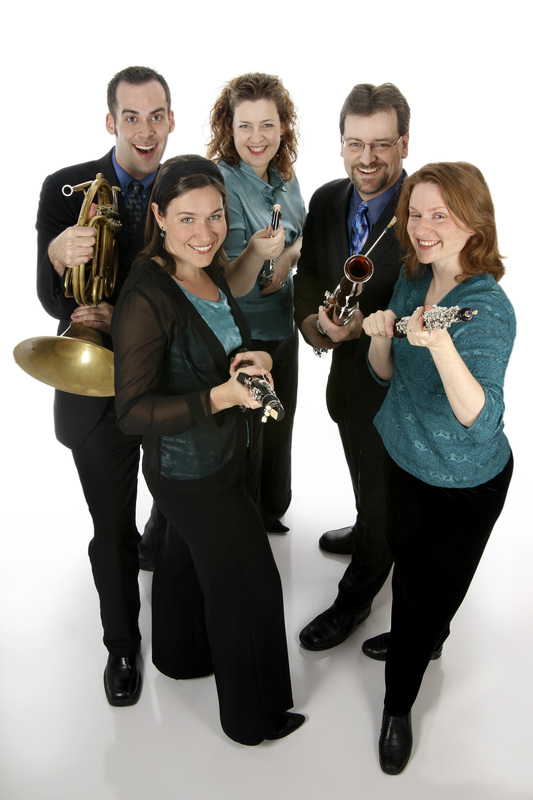 Quintet Idol brings the instruments of the wind quintet to school-age children and brings them to life! Each instrument will perform a selection that features its most interesting qualities. The music featured includes Libertango (flute), Klezmer Music (clarinet), Tombeau de Couperin (oboe), Maslanka's Quintet no. 3 (horn), and Sorcerer's Apprentice (bassoon). The program will introduce students to the basics and the highlights of each instrument so they are ready to pick their favorite at the Quintet Idol competition! This program has been a big hit throughout the Chicago Public Schools. Teacher Prep packets are also available here. Kids will help Quintet Attacca solve the mystery by trying to figure out which quintet member stole the clock. The program features musical “opposites” of high and low, fast and slow, and soft and loud. Music selections span from American composer Thomas Benjamin to Hindemith to Astor Piazzolla of Argentina. The quintet will present each musical term as part of a clue to the solution. Who stole the clock? Only the kids can figure it out! Teacher prep packets available here. 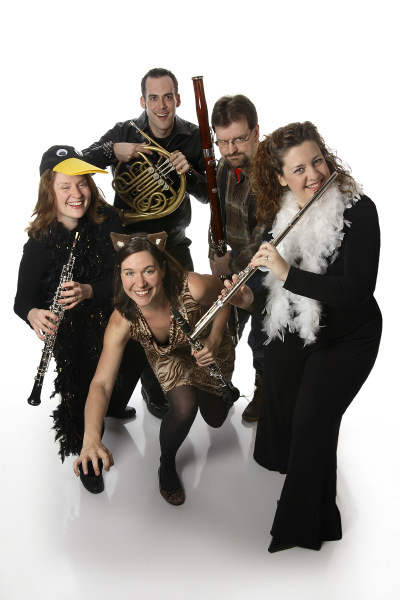 Join Quintet Attacca for the classic story of Peter and the Wolf! 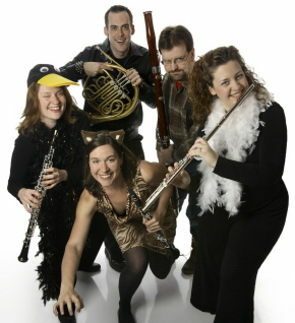 Each instrument will present the classic characters of the story with the music of Prokofiev arranged for wind quintet. Peter, the cat, the duck, the bird, Grandpa, and even the Wolf may appear in costume, too! Quintet Attacca draws upon their vast teaching experience to help junior high and high school music students better understand what goes into making music, how to be a team player in any ensemble, and what a future in music might be like. Drawing from their current repertoire, QA intersperses musical examples with commentary and stories from experience. Band directors from Iowa to Michigan have raved about QA master classes! 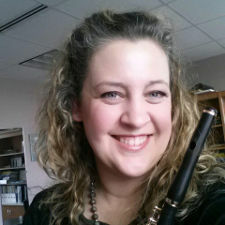 Jennifer Clippert, flute, is a DM degree recipient from Northwestern University and is an active Chicago and Milwaukee-area performer. She is the winner of a number of competitions including the Musicians Club of Women Farwell Award and the Flute Talk Competition. In addition, Ms. Clippert has been a finalist and prize winner in the National Flute Association Young Artist Competition, the NFA Performers Masterclass and Piccolo Masterclass Competitions, and the Wisconsin Public Radio Young Artist Competition. A member of the Civic Orchestra of Chicago, she was honored to also receive regular private coachings with Donald Peck. She is currently a member of the Chicago Philharmonic and Present Music (Milwaukee), and has performed with the Chicago Symphony Orchestra, Grant Park Symphony Orchestra, Joffrey Ballet, Chicago Opera Theater and the Chicago Chamber Musician among others. A sought-after teacher, she is a faculty member at University of Wisconsin-Milwaukee. Jennifer received her BFA from the University of Wisconsin-Milwaukee and her MM from Northwestern University where she studied with Walfrid Kujala. Erica Anderson, oboe, graduated from the Interlochen Arts Academy, the Eastman School of Music, and DePaul University. Ms. Anderson performs regularly as a solo recitalist and is a founding member of Quintet Attacca. She was a featured soloist in the 2002 season of Midsummer’s Music, a chamber music series in Door County, Wisconsin. She has performed with the MusicNOW series at the Chicago Symphony, the Chicago Chamber Musicians, Chicago Philharmonic, Lyric Opera, Music of the Baroque, Joffrey Ballet, Ravinia Festival Orchestra, and the Chicago, Grant Park, Rockford, Milwaukee, and Elgin Symphonies. An advocate of new music, she helped to commission works for the oboe by Bernard Rands and Dana McCormick. She has studied with Richard Killmer, Robert Morgan, and Daniel Stolper. 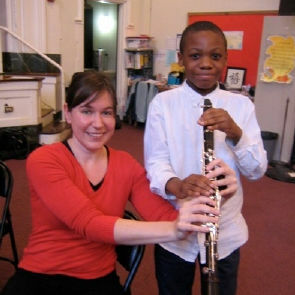 Ms. Anderson currently teaches oboe at the Music Institute of Chicago. 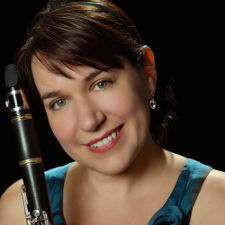 Barbara Drapcho, clarinet, holds both Bachelors and Masters Degrees from Northwestern University. Her teachers have included Russell Dagon, Charlene Zimmerman, Alan Kay, and Dennis Nygren. As QA's Educational Outreach Coordinator, she loves helping the quintet write engaging and original shows for schools. Barbara currently is on faculty at the Music Institute of Chicago. She is a member of the New Philharmonic, has performed as a soloist with the Chicago Arts Orchestra, and is a former member of the Civic Orchestra of Chicago. 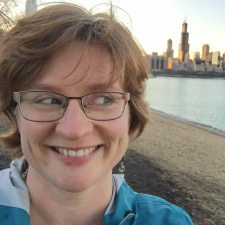 She has performed with numerous Chicagoland orchestras including the Chicago Symphony Orchestra and the Northwest Indiana, Illinois, and Elgin Symphony Orchestras. 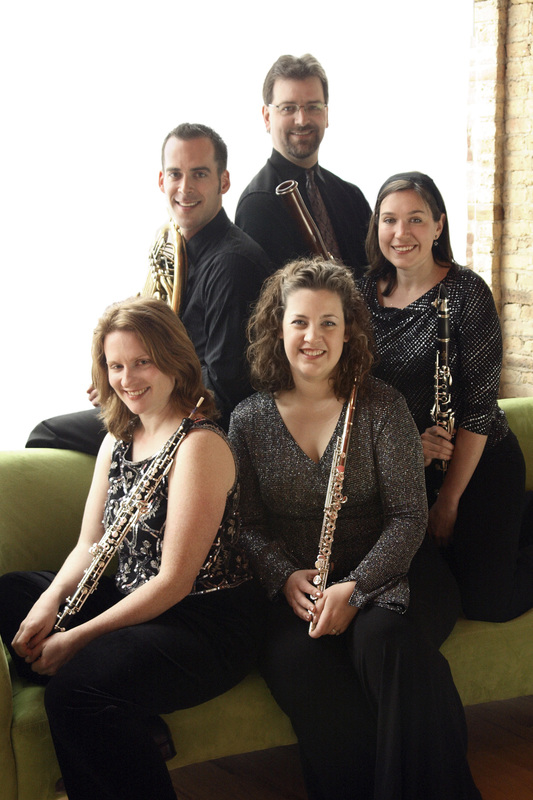 Her chamber music experience outside of Quintet Attacca includes performances with the Chicago Chamber Musicians and Milwaukee's Present Music. 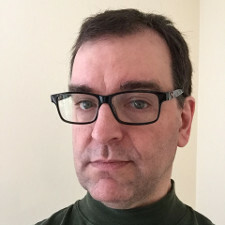 Collin Anderson, bassoon, attended the Eastman School of Music earning a Bachelor of Music Degree in bassoon performance in 1989 under the tutelage of David Van Hoesen. He completed a Master’s Degree in performance in 1991 at Kent State University where he studied with David DeBolt and was awarded a graduate assistantship. Also a composer, Mr. Anderson earned a Master of Music degree in composition in 1996 from DePaul University and a Doctoral degree in composition from Northwestern University. Collin performs regularly with both the Elgin and Lake Forest Symphonies. He has appeared with the Chicago Opera Theater, Lyric Opera of Chicago, and the Grant Park Orchestra. On recording, Collin can be heard on the Chandos label (Spoleto Festival Orchestra, Hickox - Prokofiev's War & Peace) and Equilibrium Records (Chicago Philharmonic, Rachleff - Music of Jan Bach). 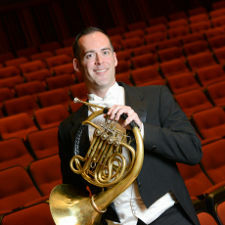 Jeremiah Frederick, horn, holds the positions of Associate Principal Horn of the South Bend Symphony and Second horn of the Lake Forest Symphony and plays regularly with the IRIS Orchestra in Memphis. In addition, Jeremiah has played with many Chicago-area ensembles including the Civic Orchestra of Chicago, Chicago Philharmonic, the Grant Park, Elgin, and Rockford Symphonies, the Joffrey Ballet and Lyric Opera of Chicago. An avid chamber musician, he is a member of the award-winning Quintet Attacca and has performed with the Chicago Chamber Musicians and the Millar Brass Ensemble. In August of 2001, Jeremiah was awarded third place in the American Horn Competition. Solo engagements have included performances of Mozart’s Sinfonia Concertante with the Fort Wayne Philharmonic and Gordon Jacob’s Concerto For Horn and Strings at Northwestern University. In March of 2008 he soloed with the Fox Valley Symphony in Appleton, WI as part of the Gallay Horn Quartet. Jeremiah graduated from Northwestern University in 2000 with a Masters’ Degree in performance and received his BM from Lawrence University. His teachers have included Gail Williams, Bill Barnewitz, and James DeCorsey.